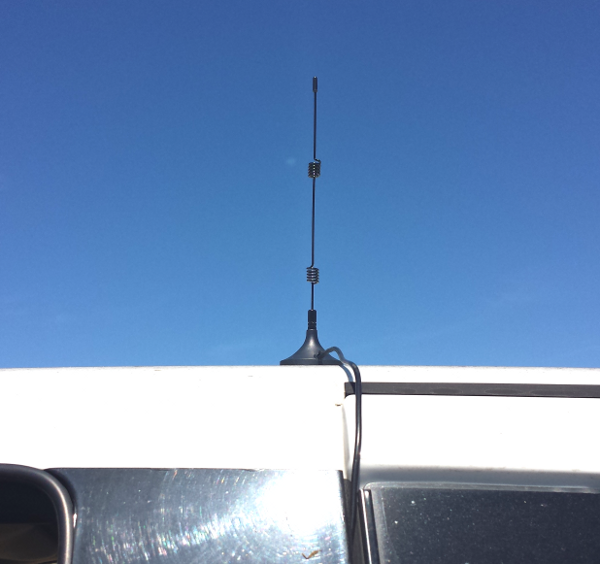 The short cable on the antenna limits the possibilities of where to mount the Hub; in general, you'll need to mount it up high in the cab. You'll also want to mount it someplace you can easily see the lights, just in case you want to see the signal lights. Some folks have mounted them in the space for the 2-way radio, others have mounted them to the roof pillars with screws or zip-tied them to the mounts for their cab computers. It's a good idea to isolate the Hub from vibration and shock - a bit of foam or something else soft should suffice.